Stephen Temple has always enjoyed a good challenge – both personally and professionally. 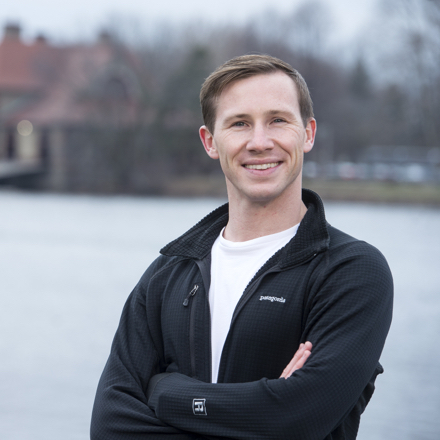 An Ironman triathlete, Brand Manager, and aspiring entrepreneur, his journey has led him to take on a new series of challenges alongside his classmates at HBS. From a young age, Stephen developed a “budding entrepreneurial passion” opening a lemonade stand at age five. That marked the beginning of a journey that has taken many turns over the years, including a summer working with the Ministry of Education in Belize, starting a freelance consulting business, and a four-and-a-half year run with Procter & Gamble. Eager to work with those around him to embrace ever larger challenges, Stephen simultaneously applied to business school and launched a boutique consulting practice. Before beginning at HBS, he pursued a lifelong dream of living and working in France, where he served a client in the wine and hospitality industries, bringing strategic marketing and design insights to a local Champagne producer and a luxury boutique hotel.